In November 1979 the company Allied Leisure Ind was sold to an investment company Koffman of Bingminton, NY. In an attempt to change the image a advertising company was paid to create a new name for Allied, and the company name was changed to Centuri Inc. Around the same time the boom in video games hit the world. This date is also rumoured to be July 29th 1980 instead. Centuri designed there own style of cabinets to house games they licensed from other game makers such as Tehkan International Corp, Shin Nihon Kikaku, Amstar Electronics Corp and Konami amongst many. The now new named company released the following games from late 1979 until 1984 when the arcade boom was nuked!. In 1981 Centuri Inc was included amongst the top 6 video arcade suppliers alongside such companies as Midway Manufacturing, Atari Inc, Williams Electronics. 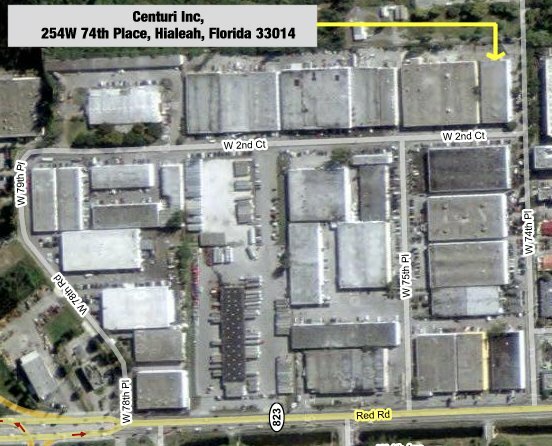 Centuri Inc remained at the same premises as Allied, this was 4 large warehouses in an industrial park in Hialeah, Florida. Photo Thumbnails of Centuri Video Games.